Dear parents... I feel your pain. There are only so many times you can read Goodnight Moon or Pete the Cat before the bedtime story gets painful. They're totally great books but it's nice every once in a while to read one that the kids enjoy that has a little tongue-in-cheek humor that plays to the adults. 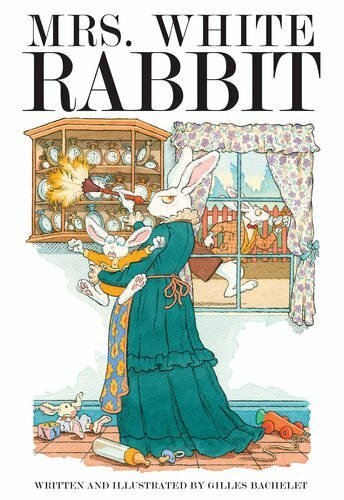 Mrs. White Rabbit had me in stitches but managed to be entertaining for my 7-year-old too. Taking an inside look at a never seen part of Wonderland and the long suffering wife of the ever late White Rabbit. This witty tome is sure to be a hit with moms thanks to the clever writing and hilarious illustrations. It might never be as popular with your kids as their old favorites but it's sure to be a welcome break once in a while. Providing detailed information on each of the chakras and related spiritual gifts, Discover Your Master Chakra shows you how to best use your areas of giftedness and life’s work to increase your master chakra’s power and influence. As much as I love to eat clean, coming up with ways to make it happen are just not my strength. Fortunately, there are inspiring and inspired folks out there like Lily Kunin who not only give you recipes, they make it a feast for the eyes too. 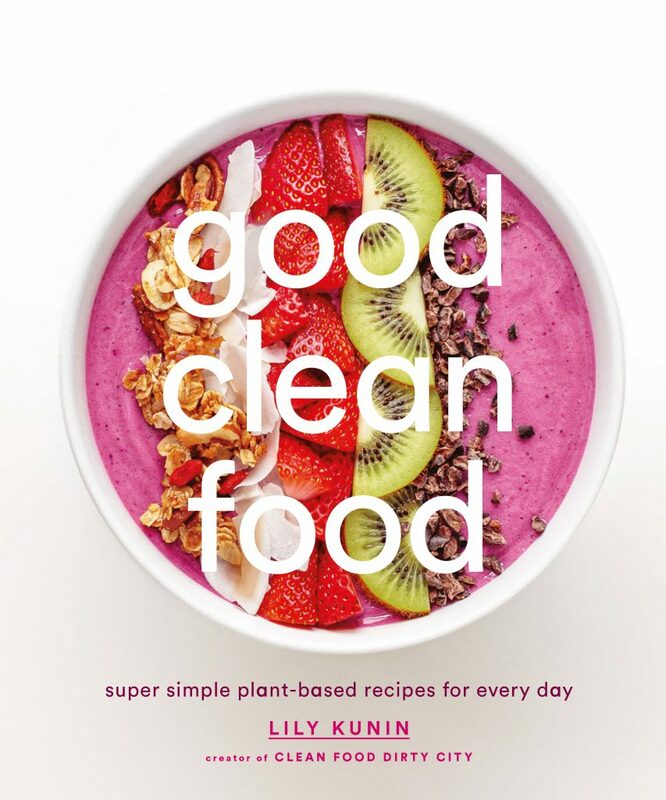 Good Clean Food would be worth buying just for the beautiful food photography but Kunin proves she's more than just an Instagrammer with her recipes. You'll find nourishing soups, filling Power Bowls, creamy plant-based puddings, and so much more. Even, a few recipes for hair and face masks! 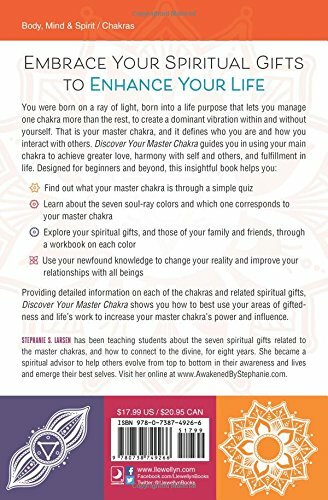 In particular, what I feel is a very stand-out part of this book is the Back to Basics chapter. It teaches how to use dried pulses and grains—which can be daunting to many cooks—as well as how to make nut milks and veggies noodles, as well as how to batch roast vegetables. For novice clean eaters and vegans I think that chapter alone makes this book a very worthy investment. From cover to cover I was impressed. 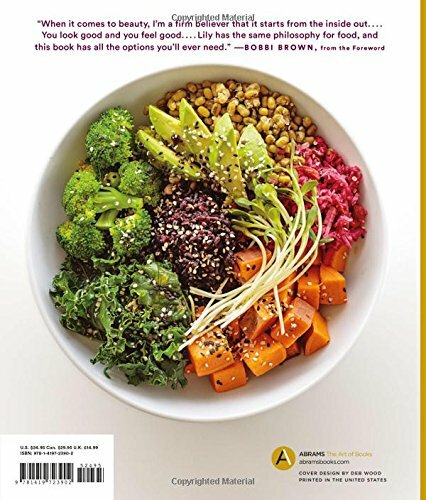 Stunning food photos, a lot more acquirable ingredients than similar offerings, and recipes for year-round nourishment make this a must-have. I loved it and will be recommending it to my many friends, family, and colleagues who are vegetarian/vegan/flexitarian and so forth. Ever wished you could live in a more romantic era? This is quite possibly one of the most fascinating and funny books I've read about women in history. I always knew the Victorians were a strange lot by current standards but woah. You couldn't pay me to deal with the hygiene issues and garments/torture devices let alone the patriarchal living. Nope. Super nope. Oneill shares this knowledge with enough humor to make it digestible for all. Post-read I've got even more respect for the women who survived the era. Because even though society is still trying to tell us ladies to be ashamed of our bodies and desires, at least in this era we get to choose to wear corsets or not, we have indoor plumbing, boxed wine and Netflix. I truly got started as a comic book reader through Marvel titles like Daughters of the Dragon, Runaways, and X-23. Thanks to Marvel Studios I've come to appreciate and love other parts of the Marvel-verse, but there's still a lot to explore. And that is one reason this book was really fun to go through. If you've ever wanted to travel the Marvel universe it looks like no stone has gone unturned here. To cap it off and make it a truly entertaining read though is the notations from the Guardians of the Galaxy. If you love the Guardians I think this is actually a collector's must-have. Overall, this was a fun read that occasionally felt a little repetitive but is sure to amuse Marvel fans from all corners of the cosmos. Check out these hilarious notes! 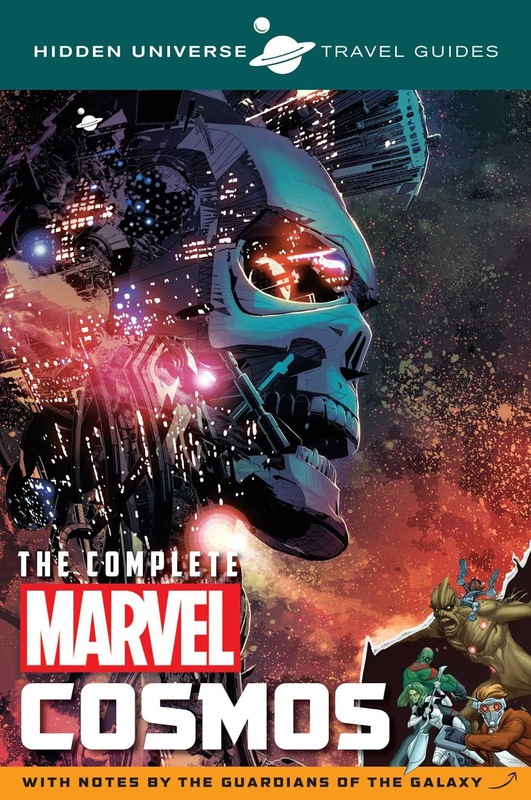 The ultimate guidebook to Earth, the Nine Realms, and other dimensions from Marvel Comics, as told by Peter Quill, Rocket, Groot, and the rest of the Guardians of the Galaxy. Ever since Super Heroes like Thor and the Guardians of the Galaxy started stomping around planet Earth, we’ve had to open our horizons a little and embrace the wider reaches of space. 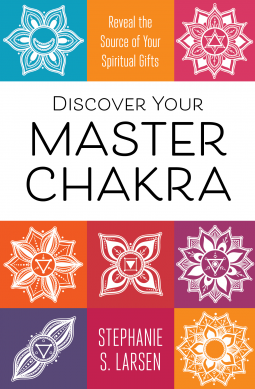 If you’re thinking of journeying to one of the many new realms for a little R’n’R, then don’t leave home without Hidden Universe’s guide to the cosmos. Whether you’re looking to enjoy the divine splendor of Asgard or soak up the multicultural atmosphere of intergalactic waypoint Knowhere, this is the book for you. It even provides some tips on surviving excursions to Planet Moord and Chitauri Prime, if you like your vacations to be on the extreme side. 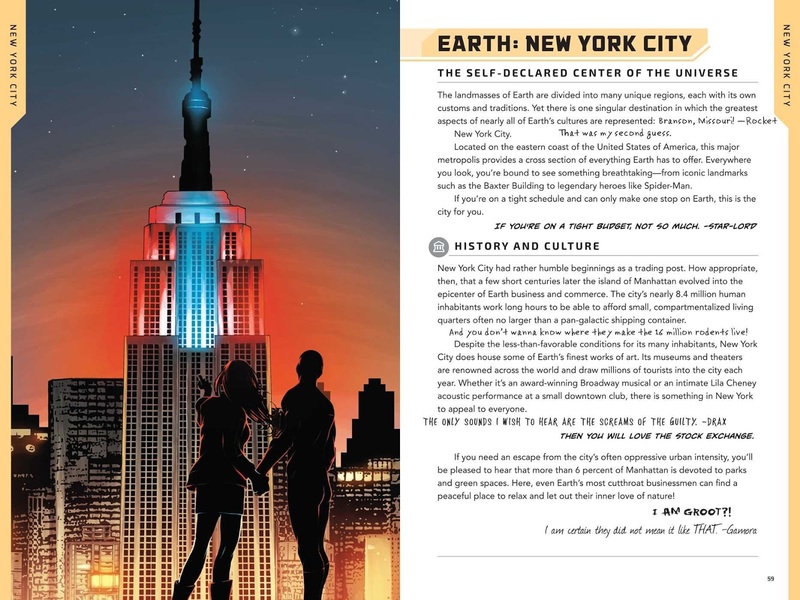 • SEE THE COSMOS – Features information on the hot spots, history, and culture of more than forty locations in the Marvel Universe, including Planet X, Halfworld, Weirdworld, and the Planet of the Symbiotes. • REDISCOVER EARTH – Get the lowdown on some of the Earth's most exotic and mysterious locations, such as Wakanda, Latveria, the Savage Land, and New Attilan. 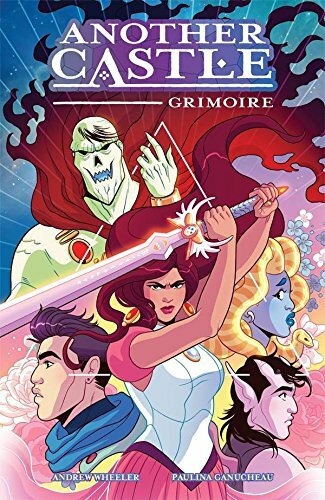 • GET INVALUABLE ADVICE – Star-Lord, Gamora, Drax, Rocket, and Groot, aka the Guardians of the Galaxy, have filled this book with their own unique travel tips, from where to get a drink in Alfheim to dealing with Ego the Living Planet. I've been in an awful creative rut for about a year now. I just can't seem to make my innate abilities flow. It happens to many creative types but I think we all handle it differently. One of my ways is by looking into new materials or types of creative expression (writing and digital art are my usual areas of strength). It's often just what I need to kickstart my mojo. Something I've been really interested in recently is alcohol ink. I wasn't sure where to get started or how to even use it when I picked up Pigments of Your Imagination. After reading it I don't think working with alcohol inks is really for me but I love the effect, the variety of styles, and overall how fresh it feels. 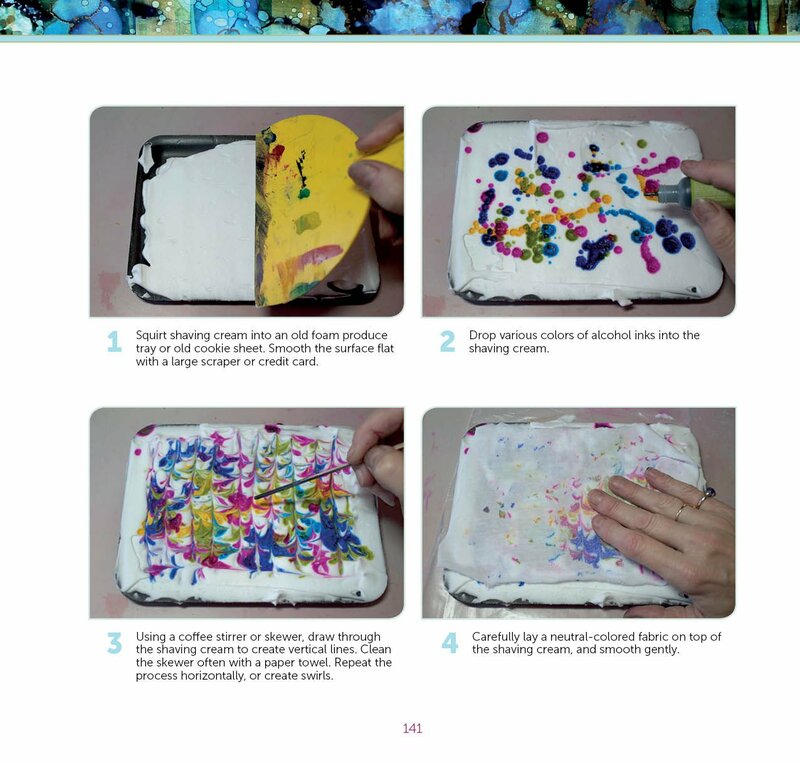 If you've been interested in learning more about how to create with alcohol inks I think this is a fantastic resource. Discover magic! Join the vibrant, prismatic world of luminous alcohol inks. Mercurial, versatile, inexpensive, and wildly colorful, alcohol inks are one of the newest mediums to hit the art community. This essential guide for working with alcohol inks has been greatly expanded, with new tips and techniques and more than 50 additional works from guest artists in an inspiring gallery. Discover how to choose which inks to use for each project and how to experiment with a wide variety of fascinating techniques and tools. Learn how to work on a variety of surfaces, including paper, glass, metal, fabric, and plastic, through detailed, step-by-step demos. 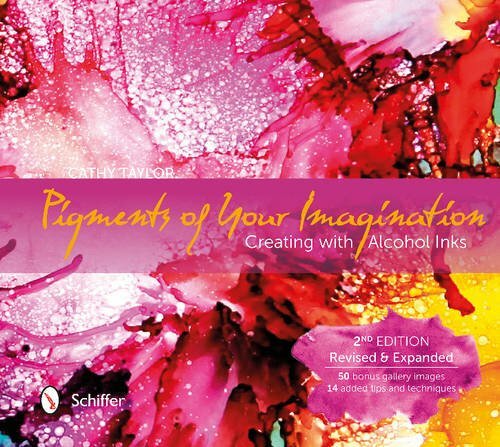 Perfect for all levels, from the beginning craftsperson to the professional artist, Pigments of Your Imagination offers a broad insight into the expansive world of alcohol inks. Explore the limits of your artistic ingenuity, and jump-start your creativity! A childhood friend of mine had one of the most talented grandmothers I've met. She was a marvel with many mediums but it was her papercrafts that always had me in awe. Her paper flowers were gorgeous and so beautiful I never thought to even try making them. To my astonishment, this book breaks several types down in ways that seem remarkably easy to follow. I'd dare even go so far as to suggest many of these can be done by a patient child. If you're interested in dabbling in paper flower crafting or trying to make a homemade gift for Mother's Day or perhaps Valentine's, I much recommend giving this book a shot. I really look forward to getting my materials together and giving a few of these projects a go. 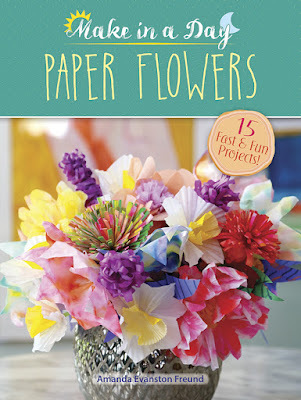 These colorful blooms will brighten any room — and best of all, you can make them in a day! You'll find that it's a cinch to add a spring-like air to any room with a bouquet of daffodils, a cluster of hyacinths, or a vivid bunch of favorite blossoms, and no previous experience is necessary. 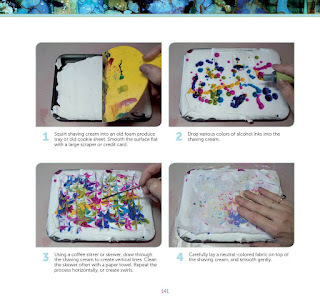 Each book in Dover's Make in a Day series presents 15 projects with illustrated step-by-step instructions. The beginner-friendly projects are ideal for anyone wishing to whip up something simple but special. Creating paper flowers adds a personal touch and a dash of handmade charm. Supplies are easy to obtain and readily available at major craft stores. Other titles in the series include Make in a Day: Modern Wreaths and Make in a Day: Pompom Crafts. After years of being a stay/work-at-home-mom I recently found myself with my first outside job in more than a decade. It's been awesome, except I was way out of practice in the packed lunch department. For kids it's often simple since mine in particular lives off of Goldfish and Go-Gurt. But when it comes to my lunch I need a little bit more to sustain me. 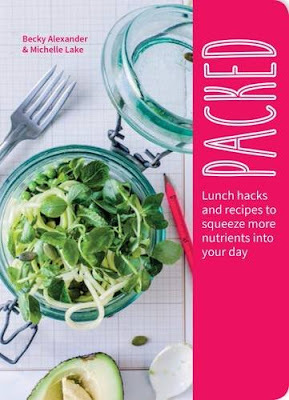 Packed offers some really useful ideas to improve your lunch. If you're trying to eat clean or simply just eat more nourishing meals you'll find recipes, tips and tricks, and ways to make lunchtime something to look forward to. If you hate to cook and/or don't like vegetables and pulses I think you may find a lot of this won't really be your thing. Yet, for those who genuinely want to try things like meal prep or taking your soups, salads, and sandwiches to the next level it's a book that I think will inspire you in ways that will make meal prep or cooking feel like self-care instead of drudgery. OMG love this lunch purse! I hate winter. By early February I'm ready to crawl into bed and never come out. Vitamin D supplements help a lot but they don't quite make me laugh like a good humorous book can. I picked this one up not being familiar with Rubyetc other than having seen a comic or two online. It was totally worth trying a new comic. Simple and goofy the art may be, but these comics are quite affecting. The kind that'll make you laugh until you cry because they're quite relatable if you suffer from mental illness as I do. In fact, I found the title fitting from two different angles... that of someone who says they're fine when they're not and that of someone who knows it's okay to be struggling, afraid, lacking confidence. If you enjoy the work of Jenny Lawson or Allie Brosh this is right up your alley! 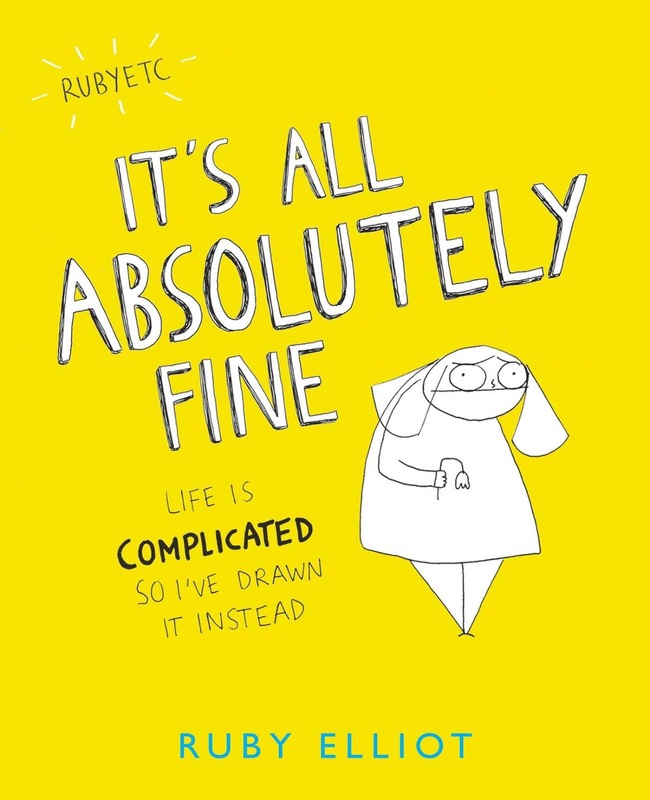 Explore the highs and lows of modern life through the sharp, dark wit of Ruby Elliot—creator of the massively popular Tumblr account, Rubyetc, which has over 210k followers and growing. Ruby’s simple drawings of not-so-simple issues capture the humor and melancholy of everyday life. Her comics appeal to both new adults who are beginning to explore these subjects and to battle-tested veterans of the daily struggles of life with mental illness. 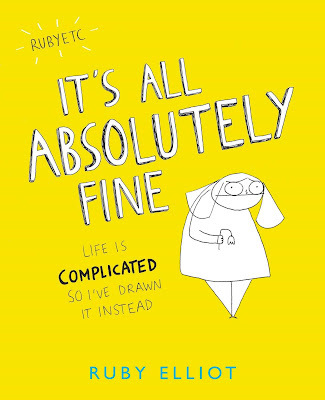 It’s All Absolutely Fine is an honest and unapologetic account of day-to-day life as a groaning, crying, laughing sentient potato being for whom things are often absolutely not fine. Through simple, humorous drawings and a few short narratives, the book encompasses everything from mood disorders, anxiety, and issues with body image through to existential conversations with dogs and some unusually articulate birds. With each chapter a particular set of struggles is picked up, looked at, and squished about a bit using visuals before being put down again with a little more resolve. Problems related to mental health that can be very devastating and even isolating are discussed openly in a way people are often told not to, but this is as much a book about the human emotional experience that touches all of us as it is about mental health. Through the drawings, the reader is shown that it is okay to struggle, and that it is okay to talk about struggling, to not undermine oneself by yelling ‘it’s fine’ when it isn’t, and while all this is going on to know that it is absolutely possible to hold on to hope, and of course humor. Building on Rubyetc's huge online presence, It's All Absolutely Fine includes mostly new material, both written and illustrated, and is inspirational, empowering, and entertaining. Hope and tenacity abound in this book that is as heartening as it is hilarious. I wasn't going to review this book... and then I saw how many people were giving it 5 star reviews and decided someone should be the bad guy. Because holy Cuisinart did this author's "voice" rub me the wrong way. I'm always interested in ways to make recipes more nutritious, more sustainable, and just plain interesting. Which was why I thought this book would be great. Instead within the first 6 pages she managed to claim to not be perfect and then turn around and get painfully preachy. Her attitude just comes across as if there are only two ways people eat, bad and good. No inbetween. It's unrealistic and if you're someone who isn't already living a lifestyle that has no grain, gluten, dairy, soy, or sugar you may find it abrasive. The recipes themselves look creative and delicious but each has a tip and an introduction that at times continues the preachy stuff. I tried to make it through for the sake of finding some recipes to add to my rotation but just couldn't get past the author's black and white way of writing. Unless that kinda thing doesn't bug you (which clearly is the majority of reviewers) I'd say skip this one. 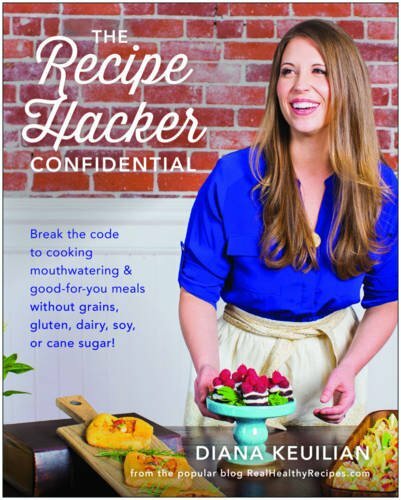 Unlock the secret to cooking mouthwatering and nutritious meals—without giving up your favorite dishes! I absolutely LOVE the artwork of Pailine Ganucheau so this was an easy pick for me. Fortunately, the story is also great. If you like your princesses less-damsel-more-capable you're sure to enjoy Princess Misty's adventures. Perfect for fans of the Legend of Zelda franchise who want to dabble in the graphic novel shelves a bit. Our tale begins when Princess Misty of Beldora, who longs for a more exciting life, gets more than she bargained for when she is captured by Lord Badlug, the ruler of the neighboring kingdom of Grimoire. He intends to marry her and conquer Beldora, leading the land into ruin and chaos. The people of Grimoire already suffer under his rule and desperately need a hero... luckily, Badlug has just kidnapped one! Together with the citizens of Grimoire and a certain bumbling prince, Misty must fight to protect her kingdom and free both realms from Badlug’s tyrannical rule. Misty is determined not to be another damsel in distress; and with her new friends to protect, she'll discover just what it takes to be the hero of the story.